Vietnam spent 1.04 billion USD to import some 51,000 various vehicles in the first half of this year, according to statistics released by the General Department of Vietnam Customs. The figures were up 2.9 percent in volume but down 15 percent in value. The number of vehicles with nine seats or less reached 26,600 units worth 449 million USD, marking an increase of 30.1 percent in volume and 13.5 percent in value year-on-year. Indonesia ranked the top exporter of cars with nine seats or less to Vietnam, with 8,900 units at total value of 171 million USD, up 66 times in volume and 103 times in value year-on-year. The average price was 19, 300 USD each. It was followed by Thailand with 6,600 units worth 105 million USD, or 15,909 USD each on average, and India with 5,000 units worth 23.6 million USD, or 4,200 USD each on average. 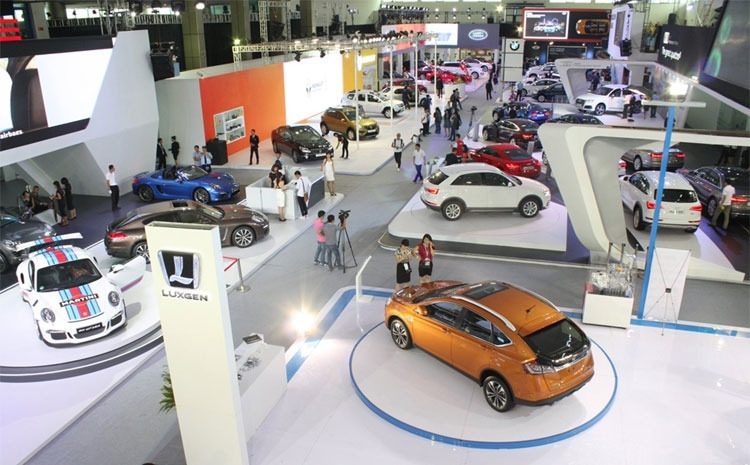 Meanwhile, Vietnam imported 338 cars with nine seats or more during the first half of this year at total value of 10 million USD, declining by 31 percent in volume and 30.5 percent in value compared with the same period last year. Japan took the lead with 190 units worth 5 million USD. The country’s auto part manufacturing industry also had a good opportunity to participate in the production chain in ASEAN since its rival Thailand faced a shortage of skillful workers. Chris Humphrey, executive director of the EU-ASEAN Business Council based in Singapore, told the online newspaper VnExpress.net that Vietnamese producers had not only been reinforcing their position in the domestic market but also expanding exports, especially in its traditional market of ASEAN. The outlook for auto parts and components was therefore optimistic. He said once the tariff barrier is lifted under the ASEAN free trade agreement in early 2018, it would allow Vietnam to produce parts and accessories to serve the auto industry in other countries in the region, citing the example of Thailand, a country lacking skilled workers. Kasinee Phantteeranurak, project manager at leading Asian event organiser Reed Tradex Co, Ltd, said the European Union, Japan, the Republic of Korea and the US are potential markets for Vietnam. However, they are high-ranking manufacturers, therefore their demand in terms of quality, stability and accuracy was very high.